Dublin's Philly McMahon has announced his engagement to girlfriend Sarah Lacey, showing a more romantic side to the football star. The Ballymun footballer couldn't have timed the moment better, going down on one knee as the Northern Lights shone in the Icelandic sky. 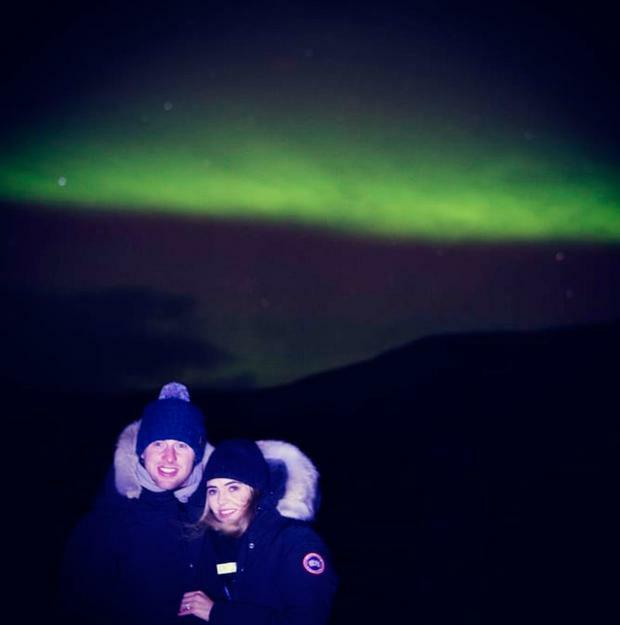 The loved-up pair are currently enjoying a romantic getaway to Reykjavik with McMahon sharing a cute photo of them beaming and bundled up in hats and scarves after he proposed under a phenomenal green sky. McMahon (31) has been dating PR professional Ms Lacey for the last four years and the couple now live together, buying their first home together earlier this year in Ashtown, Dublin 15. Many of McMahon's Dublin teammates were quick off the mark to wish him well. "Congrats guys," wrote Bernard Brogan, while another Ballymun man Dean Rock also congratulated the happy couple. It's been a busy year for McMahon, helping Dublin on their way to securing their fourth All-Ireland title in a row. This year has also been an emotional time for McMahon, with his dad Phil passing away from stomach cancer in July. He paid tribute to his dad at the All-Ireland final, saying he had been there in spirit. McMahon isn't the only Dublin hero to ask his other half for their hand in marriage in 2018. Cian O'Sullivan also proposed to his long-term girlfriend Danielle Byrne earlier this year. The pair had been dating for 10 years. Like McMahon, O'Sullivan (30) surprised Ms Byrne while out of the country, on holiday in Italy. Elaine Keogh Gardai are investigating after a man was shot in Drogheda on Thursday evening. Sorcha O'Connor THERE is now 35pc of families choosing to cremate their deceased loved ones, according to a leading Dublin funeral director.